Fans are those who can do anything to show their madness towards their favourite stars and we have seen several times that people are doing strange things for the stars. 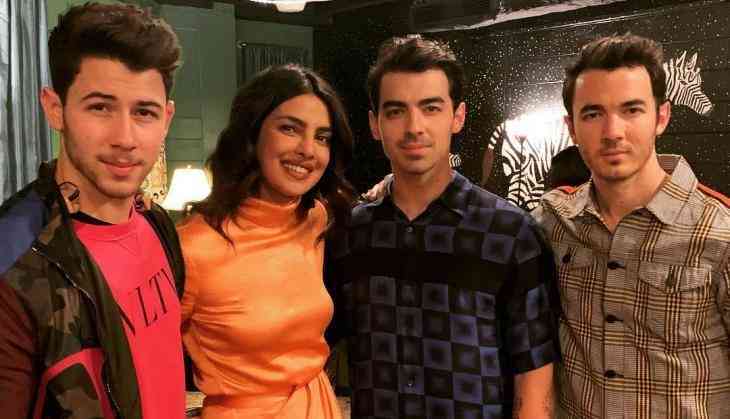 Now one such kind of incident happened with pop singer and Priyanka Chopra's husband Nick Jonas at Jonas Brothers concert. Priyanka Chopra got married to Nick Joans in December 2018 and now for the first time after getting married to Nick. Recently, Nick Joans with his brothers Kevin Jonas and Joe Jonas performed at a concert and in the concert, one of the female fans of Nick went crazy. The female fan throws her Bra to Nick in front of his wife Priyanka Chopra. Let us tell you that a few days back there were the reports that Priyanka Chopra and Nick Jonas are heading for divorce just after 4 months of their marriage. Well, the actress's team denied all these reports and said that their team will take legal action against the magazine.